In honor of Spring (which is in full swing going by my irises in my yard right now), I created this dumb awesome song to cause you to roll your eyes inspire you. All joking aside though, as you think about spring cleaning this time of year (be it the office, garage, yard, or whole house if you are in the middle of a move like me), don’t forget to spring clean your HEART as well. Take a moment to reflect and be still. Is your life and heart cluttered with junk? Do you hoard certain traits, weaknesses or sins that could be thrown away to make room for the Savior? Are there cobwebby thoughts or dusty doubts that could be swept out through the infinite cleaning power of the atonement? If we’re being truthful, we can probably all answer in the affirmative to one or all of the above. We are natural men and women in a fallen world. There are so many things that bombard us and clutter our souls. So much junk can harden our hearts if we’re not careful to clean it out. The Savior paid the ultimate price and can set everything in order. He holds out the most powerful and thorough cleaning agent available in the universe—the atonement—and that can take out any stain (even the most stubborn red ones) and purify all that might be soiled in our lives. And Christ’s atonement can do it daily. He can make us brand spanking new—shiny and clean. Right now. Today. We don’t have to wait until our temples become filthy as pigpens before we turn to Him for help. Sometimes it’s hard to let go of possessions. As I’ve combed through my house to declutter so that I don’t take junk I haven’t touched for 10 years to my next house, I find it hard to part with certain things (even if they have no value). Sins and weaknesses can be that way as well. We each have our ‘favorite’ sins we hold onto tight. You might say we even hoard them. We might make attempts to throw them out, and then find ourselves digging them back out of the garbage and berating ourselves for being so weak and foolish. God doesn’t berate us though. He can change us when we are ready to fully turn to Him and hand over our junk. Each shred of paper that flutters to our ground…each crayon mark on the walls of our souls…each accidental muddy footprint left on the carpet of our heart can be erased and cleansed so that is in ‘new’ condition as soon and as often as we repent. Repentance is a gift…a blessing…the key to cleanliness. 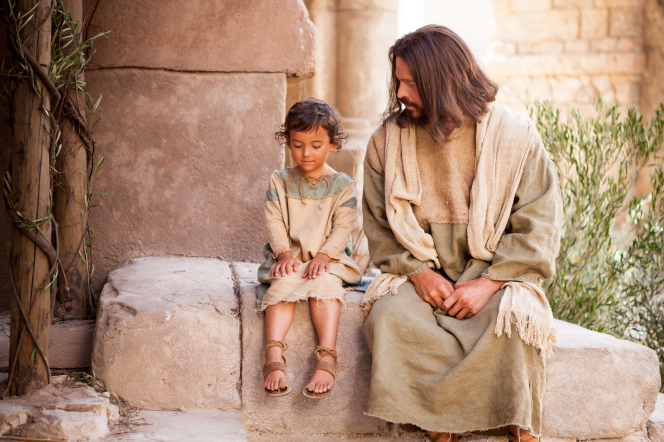 I am so grateful for my Savior and Redeemer. He has saved me from physical death. And He is anxious to redeem me as well. It is my choice whether I continue to hoard and revel in my sinful clutter…or turn myself over to Him through repentance so His atonement can purge away evil and make me a new person. A clean person. Like Him. Spring cleaning is hard work, but it brings so much satisfaction. Repentance is the same. It’s hard to take a close, honest look at ourselves and not sweep garbage under our beds of conscience to hide our sins from view. However, when we take the time to clean out every hidden nook and cranny in our lives and put everything in order through the gift of repentance, there will finally be room for JOY in our life…because there will be room for Him, our Savior. So cleanse your life through Christ’s atonement.